Today I hot footed it to Preston City Centre to spend the afternoon with 12 other gorgeous ladies from the blogosphere for the North West Blogger Meet Up. I’ve been planning the day for what feels like forever, but it seems to have crept up so fast! Unfortunately the sun didn’t make much of an appearance like yesterday, and true to form, Preston was back to it’s dull rainy self, but it didn’t dampen spirits in the slightest. 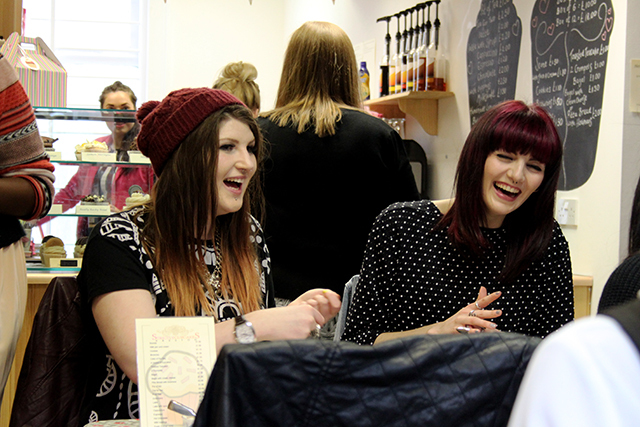 We met at Moka for a drink, a bite to eat and a good old chin wag to get to know each other a little better, and I gave out some goodie bags full of lovely gifts from Carnaby & Campbell, Retro Rehab, The Vintage Set, Beauxoxo and The Body Shop. Big love to those places for sending over such nice little presents! After a few cheeky pictures and a lot of chatter, we headed off to the shops! 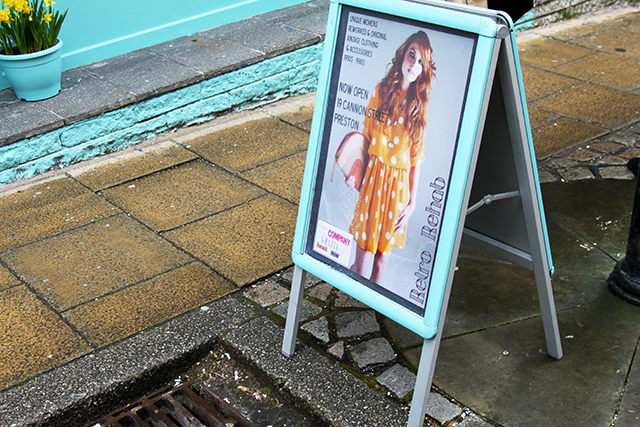 As the turn out was a lot bigger than first anticipated, we visited the first couple of shops in two halves. 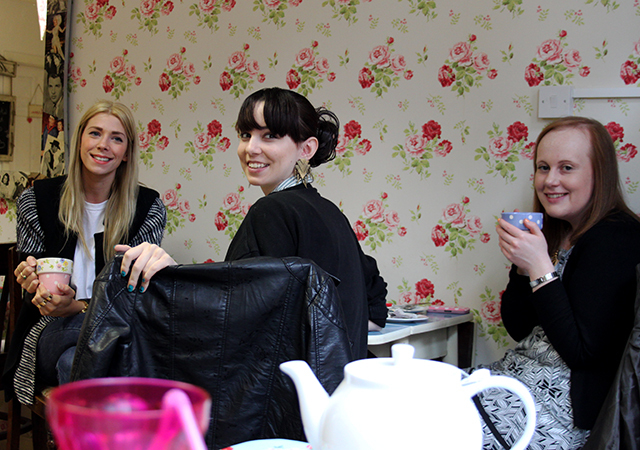 First off myself and some of the girls popped into Coco Boo, one of my favourites for on trend pieces run by two of the loveliest girls you will meet. 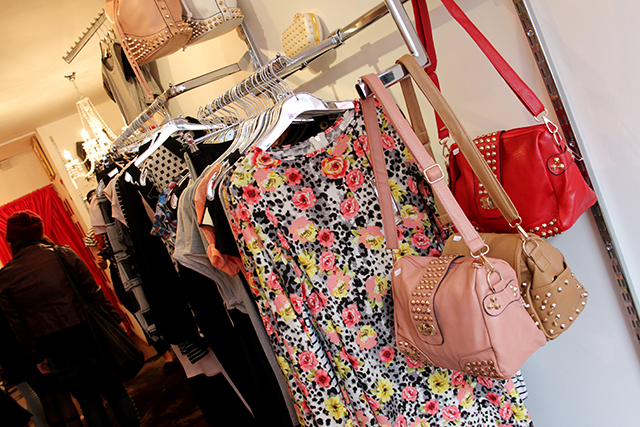 Cue lots of ‘oohs’ and ‘aahs’ at the gorgeous girly decor and beautiful stock as we walked in. I treated myself to a pair of black dungarees that I’d spotted yesterday but couldn’t decide on, but after trying on and a few nods of approval I took the plunge and bought them! 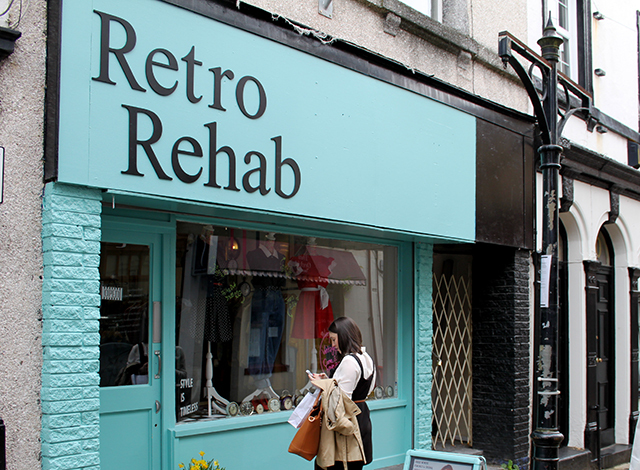 Next stop was my favourite little Vintage boutique, Retro Rehab. 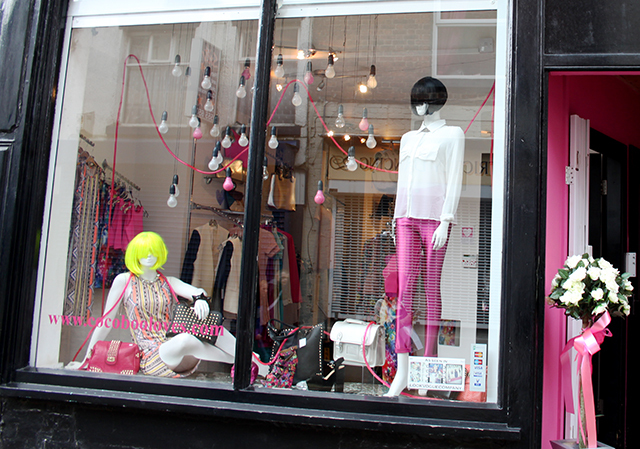 Not only do I love the clothing they stock but oh my goodness how pretty is the outside? You may have shopped at Retro Rehab in Manchester in the Northern Quarter too, but luckily for us this one in Preston is now my local. 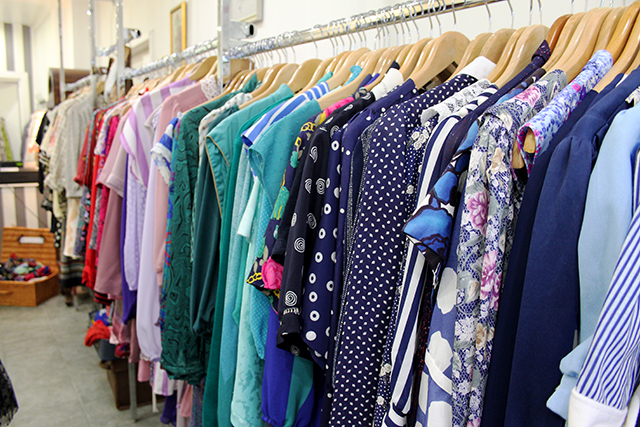 I saw so many beautiful dresses, jackets and blouses but resisted temptation and gave my bank balance a sigh of relief, even though it did mean leaving behind some lovely pieces. Maybe I’ll stop by again in a couple of weeks! Strictly Cupcakes was the perfect place to end the afternoon. 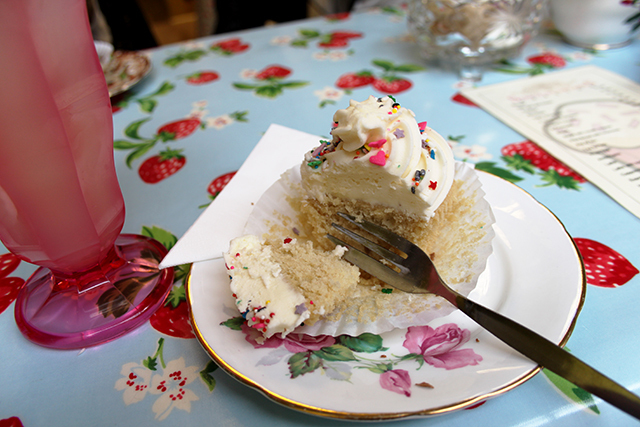 We all bought yummy cupcakes that were all homemade, and the tearoom itself was a lovely little place to sit down and relax. 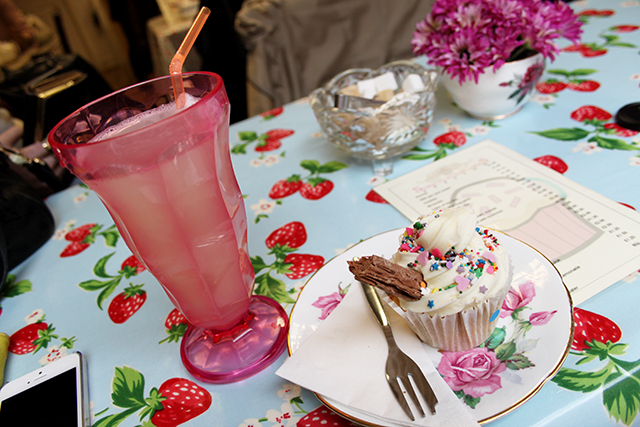 I had a homemade lemonade and a Flake 99 cupcake which was SO GOOD! The girls worked super hard to get round all of our orders and were all really lovely so a bit thank you to them and to Joanne for letting us all take over the shop! 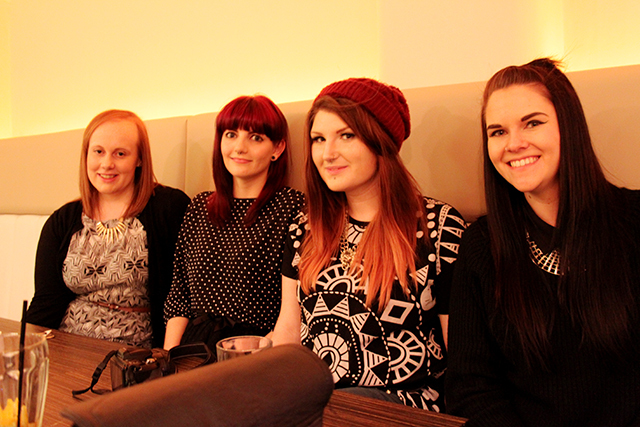 It was such a nice day spent with some really lovely girls who I’m so happy I got to meet! Thank you to everyone for coming, to Coco Boo, Retro Rehab and Strictly Cupcakes for letting us all take over the shops for the afternoon, and to all the sponsors who helped out with the goody bags. I’m sure it won’t be long until the next one! 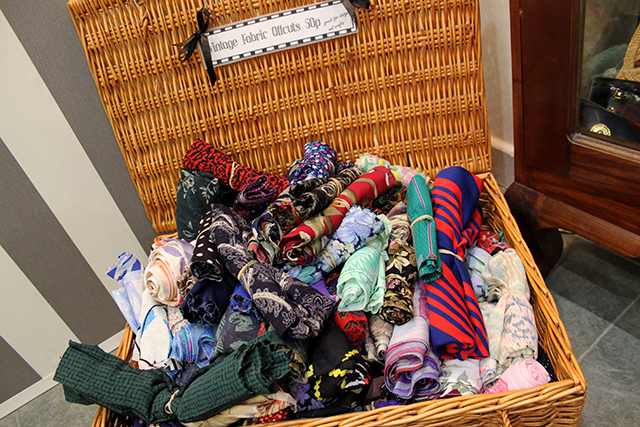 "A CROWN & GLORY GIVEAWAY"
Ooo such lovely photographs darlings, looks and sounds like you had a fabulous time and what delightful shops. 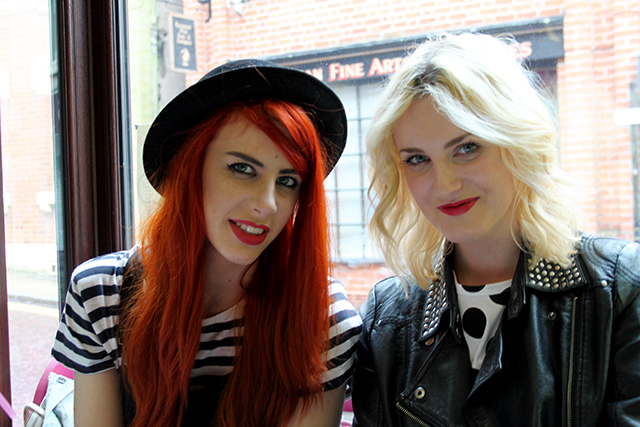 By the way you remind me so much of Perrie from Little Mix – that's meant as a big compliment by the way lovely. Ahhh the cupcakes looked like the best bit! Next time I am putting more money in the parking meter. Also I hope to be in less of a flap next time, I'm not normally that confuddled! Thanks once again for inviting me, it was a fab afternoon and everyone was so lovely. Aww I wish I had known about this, I would have loved to come along! Looks like you all had a lovely day- Strictly Cupcakes looks amazing! Wow. All of you look so gorgeous. Seems like you people have an awesome time. I love all those dresses. They look so colourful. This looks like it was good fun! Looks like you had a fab day! I'm from Wigan, not too far away from Preston at all, and would love to maybe be involved in North West blogger meet ups in the future! I've spotted myself in three photos where I've photo-bombed the retro rehab shots, so sorry! 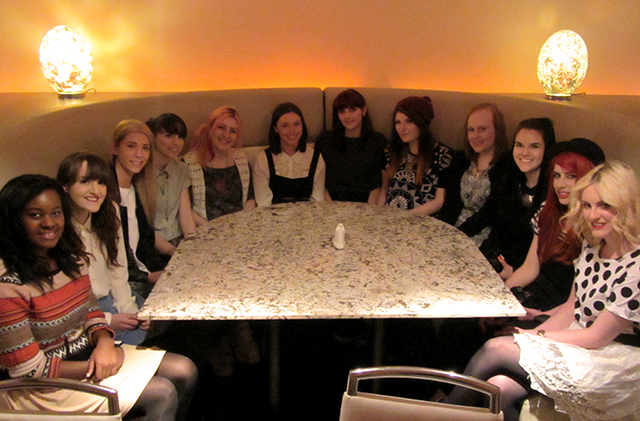 I had such a wonderful day though and it was really lovely meeting everyone, thanks for organising it Claire! This looks amazing! 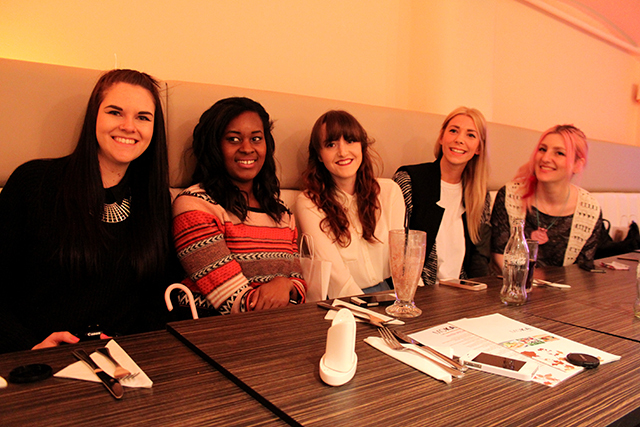 It's such a rare occasion when bloggers actually get to meet! Will you be organising another one in the future do you think?